Nourish Deep Recovery Conditioning Mask combines the goodness of Almond oil, Olive oil and Meadowfoam oil to repair dry, processed and dull hair. Intense conditioner for thick, unruly, dry or chemically treated hair, made with natural aloevera, honey and egg protein nourishing and hydrating hair. Our clients can avail from us a wide range of Hair Spa Conditioner. This product is developed for having a composition particularly with Hydrolyzed Protein. It restores deteriorated hair and provides nutrition to hair that makes hair lively, shiny glossy smooth and soft without weighing it down. A product that gives the convenience of two products in one. 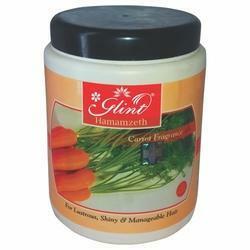 Its regular use ensures strong, lustrous and healthy-looking hair. It is suitable for everyday use and for all hair types including coloured and chemically treated hair. We are the leading manufacturer, exporter and supplier of Hair nourishing Conditioner in Delhi, India. It is manufactured by state of the art technology and high grade raw materials pocured from reliable vendors. We are engaged in offering St. Lves Conditioner. Our range of products are made up of high quality to fulfill the demands of the customers. The ultra rich hair conditioner offered by us helps in reducing excess oil level from the hair and at the same time also providing it much needed nourishment. Its unique moisture rich formula also helps in locking nutrients, thus helping in achieving a superior shine. This leave in conditioner is easy to use - simply spray on as needed. It moisturizes and detangles and helps keep your hair system looking and feeling healthy and soft.